Trans mount. 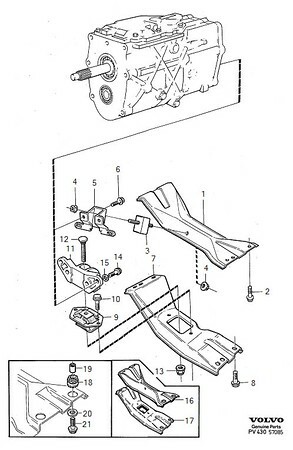 I could not access the upper nut (#4). There were some bolts on the bracket (#5), but the one I pulled was quite long and I was afraid to go further out of concern that I might separate the case or something.